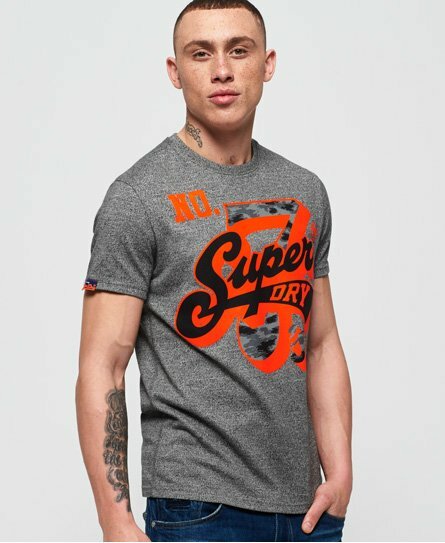 Superdry men’s super seven t-shirt. For a fuss free approach to everyday wear, this tee is a must- have for your wardrobe this season. It features short sleeves, a flattering crew neckline and a Superdry logo across the chest. For the finishing touch, this super soft tee features a Superdry tab on the sleeve.